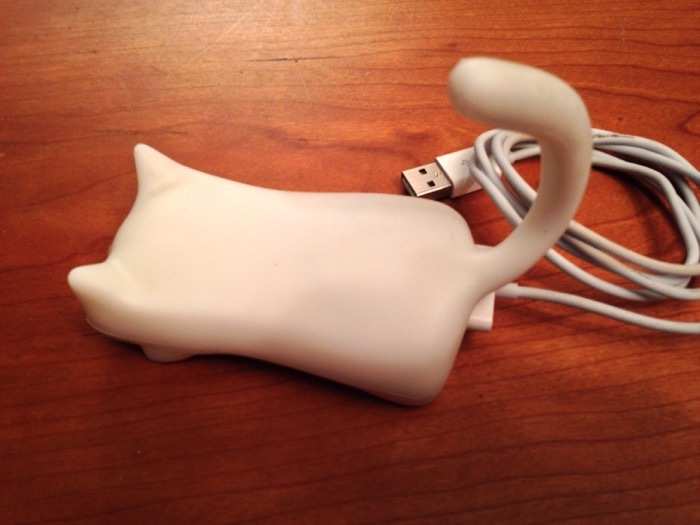 I’m selling my first gen iPod Nano, which is a white 4G model in an adorable kitty case. It’s been in the case the whole time I’ve owned it, so it should be in great shape. But why would you want it without the case? $50 opening bid, or $79 buy-it-now, which is (amazingly) an estimated $20 under the typical going price. Shipping is free in the US and I’ll ship to most countries, though there’s no way to exclude only the problem ones. Sigh. If this one’s not your cuppa, I’ll probably be listing other iPods later, but I only have this one with the kitty case.